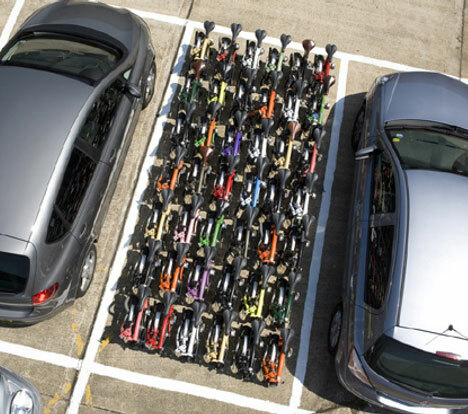 How many Brompton folding bicycles can you fit into a single parking space? Forty-two, according to this photo. But with my luck I'd be the first guy who needed to retrieve my bike, and it would be the red one in the middle.